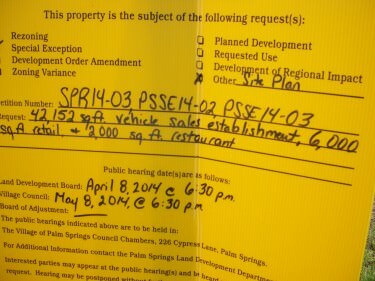 Palm Springs Village Council Approves Off Lease Only Dealership Expansion; Calls Site Plan "Genius"
The Palm Springs Village Council unanimously approved plans for OffLeaseOnly‘s proposed dealership expansion on Thursday, showering the goliath used car dealer with praise for an innovative site plan that also includes a mix of retail and restaurant space. Dozens of Off Lease Only employees who had packed the meeting in a show of support burst into applause when the measure was approved. Used car dealer Off Lease Only will build a 42,152-square-foot project on 14.23 acres at 1200 S. Congress Ave. The plan includes a 39,256-square-foot dealership; a 2,000-square-foot restaurant and 6,000-square feet of retail. The no-frills business – known for its rock-bottom prices and haggle-free sales – is owned by Mark and Eileen Fischer of Lighthouse Point. 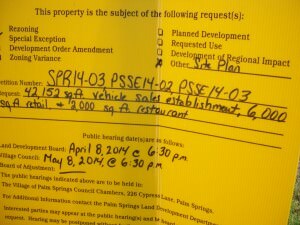 “This is an amazing site plan,” said Palm Springs Mayor Bev Smith after the “yes” vote. “We are real excited for you.” Construction could start as early as 60 days with completion sometime in 2015. 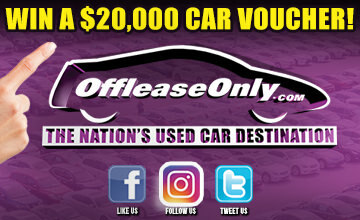 The gigantic used car dealership employs 277 people, does more than $500 million in annual sales and pumps an estimated $30 million in tax revenue into the community each year, according to Off Lease Only General Manager John Giasullo. Fischer said this expansion has been a personal dream in the making for years. The retail businesses and restaurant will front on Congress Avenue. A paved courtyard with a fountain and outdoor seating for 50 will separate the two entities. Under this arrangement, Off Lease Only will serve as the landlord for the restaurant and retail tenants, Giasullo explained. “The Village wants us to make the road frontage look nice. Our building will be set back. It’s for the betterment of the area,” Giasullo said of the layout. Although no decisions have been made on future tenants, eateries like Panera Bread or Chipotle might be a good fit, he said. The retail space could house anything from a phone store to an insurance agency. 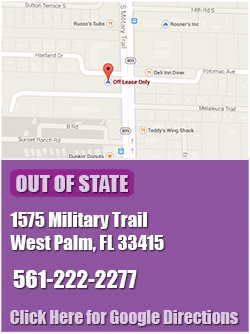 Off Lease Only’s existing Lake Worth dealership is currently situated on three parcels of property because the business grew so quickly there wasn’t room to expand at one address. 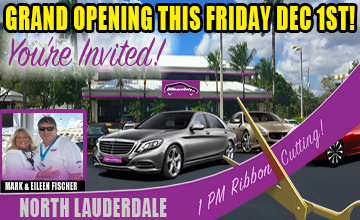 Construction of the new dealership is tribute to the success of this family-owned company, which dates back to 1992 when the Fischers bought two used cars with their wedding money and began selling vehicles from their garage in New York. 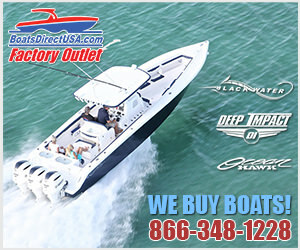 The Fischers moved their growing business to South Florida in 1997 and sold used cars from a small, leased Lantana warehouse until they opened the current Lake Worth car lot in 2004. 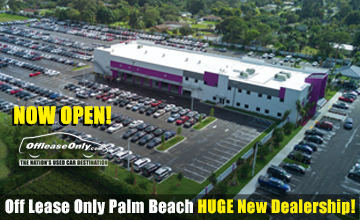 The Lake Worth dealership currently occupies a car lot at 3531 Lake Worth Road; corporate headquarters at 1776 Lake Worth Road and a lot at 2139 Boutwell North where new arrivals, trades and out-of-state deliveries are parked. 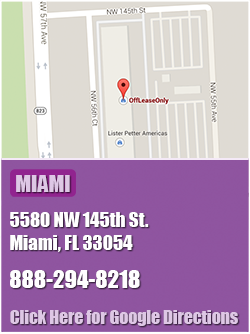 Off Lease Only also operates a Miami dealership at 5580 NW 145 Street. That store opened in August 2012. 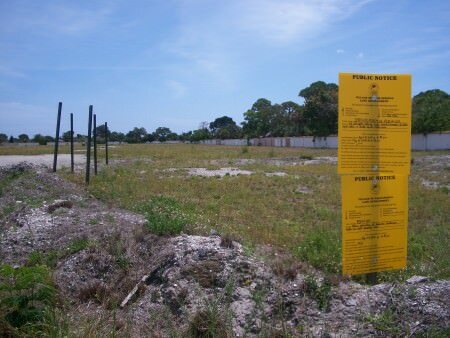 Public notice regarding site plan approval for 1200 S. Congress Ave. The Lake Worth car lot and corporate headquarters will eventually be consolidated at 1200 S. Congress Avenue. Boutwell operations will move to a leased property at 1575 S. Military Trail where the Business Development Center and out-of-state sales relocated in mid-April. The project includes a two-story, 21,952-square-foot office building adjacent to a 17,000-square-foot vehicle maintenance garage. According to the site plan, the vehicles for sale will be parked to the rear of the dealership’s office building. The land, currently zoned light industrial, has been through several land use changes. Back in January 2006, the property was home to a flea market. The Palm Springs Village Council allowed the flea market to remain for five years, at which time the owner was to demolish existing buildings and redevelop the property as a mix of residential and commercial, or a cluster residential property. That project was never built when the real estate market hit a slump. The land use and zoning were subsequently changed back to light industrial, paving the way for Off Lease Only to build its new dealership. 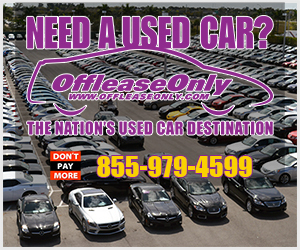 Stop in to one of Off Lease Only four locations and drive home your next beautiful used car today!